Close Up animal encounters at SeaWorld Orlando! Immerse yourself in water-wonder at SeaWorld Orlando®, where the aquatic world comes alive like no place else on Earth. From thrilling roller coasters to family friendly attractions, SeaWorld offers something for almost everyone in the family! There are so many things for a family to do at SeaWorld Orlando… it’s hard to explain them all on one page! Enjoy multiple close encounters with the sea life, experience new shows and daily entertainment. There are more up-close animal encounters throughout the park and a Surprise Squad treats guests with prizes daily. The aquatic encounters you’ll experience are stunning. From feeding the rays to watching the dolphins, or getting splashed by the Orca pool to watching the manatees feed… It’s a world of wonder. You can buy up-close encounter tickets to feed sea-life, or meet other animals including sea-lions, dolphins, sharks and more. Be sure to visit the “Antarctica” exhibit while you’re at SeaWorld, the penguins and seals are adorable! You should also be prepared for lots of thrills during your visit! 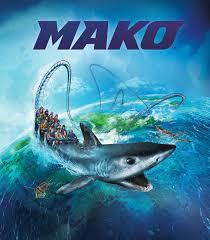 Finally, make sure to ride the Manta Ray and the Mako rides – they’ll leave you breathless. Call TOLL FREE NOW (866) 934-9177 to purchase tickets!